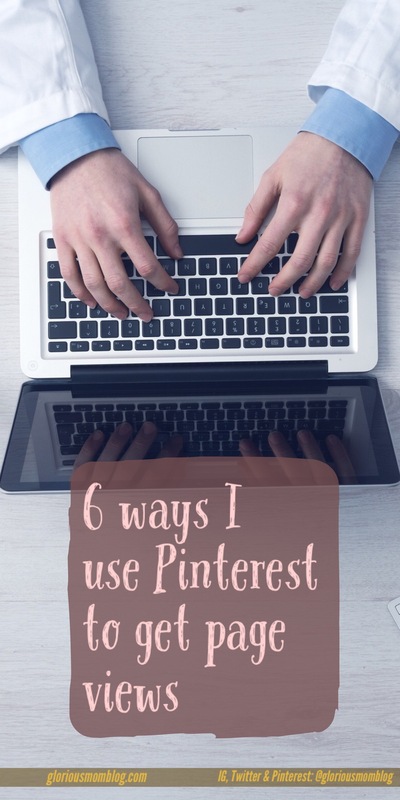 When I first started blogging, I didn’t see the draw for Pinterest. No one was coming to my blog from Pinterest. Besides, it was crazy hard (still is!) to get followers. Then I wrote this one post, 6 signs you’re a good mom, and it blew up on Pinterest. That was several weeks ago, and that article and Pinterest are usually responsible for 90% of my page views. That got my attention. So here are a few things I do to keep Pinterest happy. 1. I create a board just for my articles, and then several similarly-themed other boards I can repin to. If you’re going to be repinning your blog pins, which you’d better be, you need somewhere to put them. I also have one main board besides my blog board that I pin to as much as possible (mom blog articles), so it doesn’t look like I’m monopolizing it with my repins. 2. I collaborate on big blogging boards. I do this by finding what big boards other bloggers are collaborating on. Everyone else recommends this group board resource, Pingroupie. But I could never figure out how to contact the people who ran the big boards. I just checked out other bloggers’ group boards, and emailed the owners of the ones I wanted. 3. I make and pin 2-3 different pins for each blog article. Your blog is going to have more than one image, so why not have more than one pin? The long ones will be the popular ones, but you never know. 4. I tried using a scheduler and got blocked. Now I repin 8-10x or more a day, the same pin. Pinterest marked me as spam for a few days after I used Viralwoot and pinned a few pins 30x in 24 hours. I emailed their support team and got unblocked for a few hours, only to get blocked again! Now I’m using Board Booster, which repins at random intervals. I also try to repin my last four articles at least 8x a day. This is why you need all those boards, especially the group boards, so your repins have a place to go! 5. I build my following by pinning 25-50 pins a day outside of my own content. I tried to duplicate my efforts on Twitter at building my following, and it rarely works for Pinterest. Following other users rarely gets them to follow back. On Twitter I can get maybe a 33% followback rate. Pinterest is like 10%. You get followers on Pinterest by pinning. It’s as simple as that. That’s why you gotta pin like crazy. I like pinning a lot to the boards I post my articles to so I can disguise all my duplicate pins. Also, you need all the help you can get, so use Tailspin or Board Booster or something similar to automate pins. Since I started using Board Booster I’ve seen a steady increase both in the number of blog views and the Pinterest referrals. Board Booster offers a free trial and then plans start at $5/month. 6. I have my own boards I invite other bloggers to collaborate on. Having a big ‘ol board is going to get you a lot of followers, and a lot of people seeing your pins. Now I get people emailing me to collaborate on my boards. If you want you want to grow your group boards, make sure you include your email in the description. I also inform other bloggers I meet online about my group board so they have a place to pin their stuff, too. If you want to collaborate on my Mom Blog Articles board, let me know! One more note on Pinterest: be patient! It took 6 signs you’re a good mom 5 days to start getting serious page views. I’m finding that with my other posts as well. You won’t know immediately if your post is a hit. Keep pinning it! Everyone tells you to pick one social media platform to focus on and automate the rest, but if you are serious about page views, Pinterest is the holy grail of social media marketing. I used to spend all my time in Facebook groups and on Twitter getting people to tweet my stuff, but now that I see that Pinterest users are the ones checking out my blog, I spend much of my time there. Let me know if you have any Pinterest tips. I would love to learn more! These are great tips, Susan! I hadn’t thought of repinning others’ pins in that light! It’s too bad that algorithm has changed again- all of those group messages are crazy! I can’t complain too much, though. My page views have been a little better than normal lately. So I’m not sure if I want them to change anything! This is really useful. I pinned it! I belong to one group board, which I was invited to. I have wanted to join more boards, but didn’t know how to go about it. I didn’t think of emailing the owner. great article! That’s a great tip re being picked up for being spammy – thanks for sharing. Thank you. I am just starting out on pinterest and really needed some tips. Can you please send me an invite to your mom blog article? Pinterest is the social media platform I got into after all the others. I’m still learning and this list will help. Thanks! Great tips! I am involved in 3 group boards, and they’re fantastic for reach and audience! Yeah, and they give all your repins a place to go! I am currently not on any group boards, so thanks for the advice! I’m pinning this, very helpful. I’m just now really getting into Pinterest so I still have a lot to learn. But these are excellent tips. Thanks for sharing! Love these tips! I’m just now starting to understand the power of group boards. I still haven’t started the multiple pins per post, but it’s definitely on my to-do list. Right now, I’m stuck in the mentality of seeing Pinterest as pointless. I know, I know. 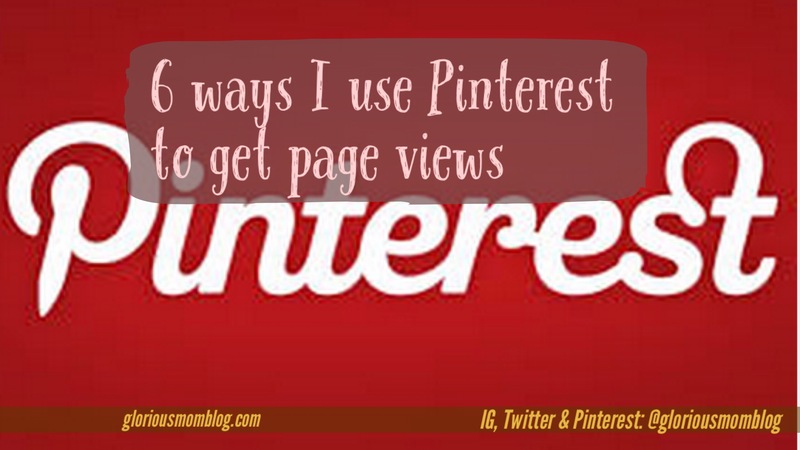 I got zero referrals from Pinterest until my one article that went semi-viral. Since then, I’m like, why am I bothering with other social media? I really love Pinterest but just haven’t been able to see the return yet for my blog. And I know it is because I don’t have the time to pin like you said to and that is why there are products like Tailwind, but I am just not sure it is the investment I want to make right now. Yeah, I just take like five minutes four or five times a day to pin. If you’re seeing referrals from other sources, awesome. Thank you so much for all of these tips. I’ve started to get better at making pinnable images, but I didn’t realize it was helpful to repin all of our own stuff. I’ve got some work to do! Thanks for the group idea too! Absolutely! Good luck to you! 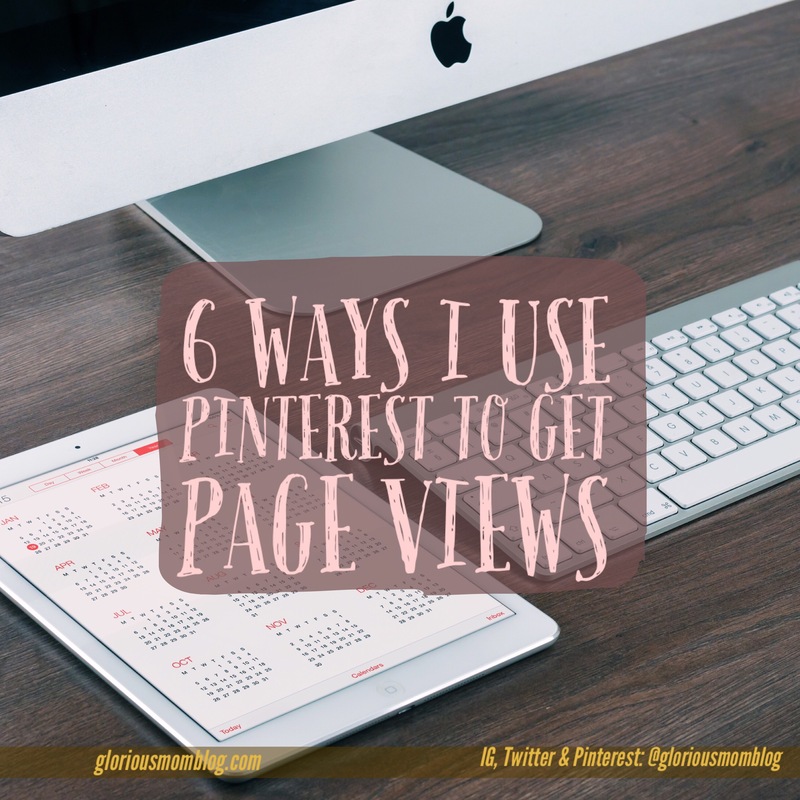 Pinterest is wonderful for getting pageviews. It’s like 80+% of mine. I’ve got to clean up my boards. I’ve got such a hodgepodge. I pinned A LOT when Pinterest was first created. Like obsessively. Then I stopped for a few years. I’m restarting now and love your tips. Thank you so much! My problem is it’s hard to make an image that’s the optimal size for Pinterest. (You know very tall) I need to find some kind of image creator. I have been blogging for over a year now and made the huge mistake of not focusing on Pinterest since the beginning. I am just learning how to use Pinterest for my blog so I really appreciate your post. I would be interested in joining your mom board if you could please email me the information. Thanks so much! You found my post on Google? Awesome! Yes if I rem well. I have been deeply searching and reading every article possible on pinterest. Do send my way if you have any more material related to Pinterest. Thank you so much. I’ll dive into it. That’s easy. Go to my Pinterest page. I’m on a couple. Just click on them and read the description. I never saw the draw to Pinterest, either, when I first started blogging.I really wish I’d started taking advantage of it sooner. Once I started following *most* of the tips you shared here, I saw a huge increase in traffic immediately. I’m currently working on going back through my old posts and adding new images in hopes they will help bring readers to my site! Yeah, I have read a ton of Pinterest articles, but they all kind of say the same thing. I’m still learning new stuff I haven’t read yet. Pinterest is the way to go! Love your blog 🙂 I went ahead and followed- hope to keep up! Check out mine! Great tips! I really need to expand my blog as I just started it, and this seems like a great way to do so! Pinterest really is the way to go! Great info!! I keep hearing that Pinterest is a gold mine!!!! Great read! It is!!! All my views! Yeah, it helps if you pin a lot! Pinterest is my lowest in terms of social media following numbers, but highest in terms of referrals. Great information! I have just started blogging again and have really tried to focus on gaining followers. Just yesterday I created a Pinterest account for my blog. It’s a little daunting but I will definitely use your tips. Thanks! Good tips, enjoyed this post! Thanks! I hope they helped!